It's not just laptops that are getting downsized thanks to next-gen graphics chips and processors. 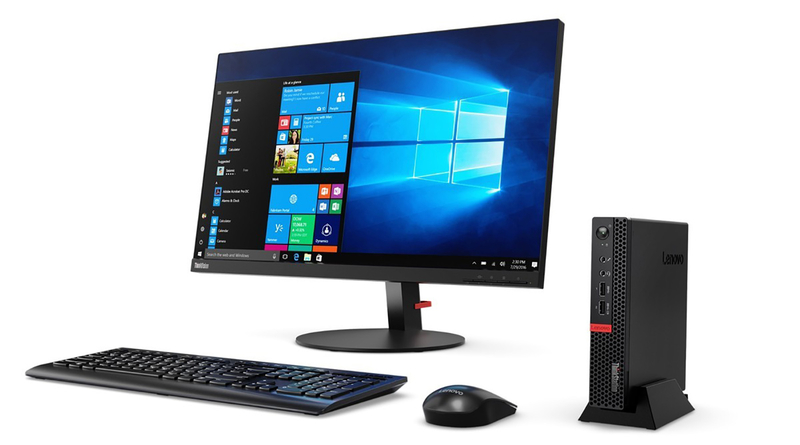 Lenovo has unveiled a new workstation, the P320 Tiny, with a discreet professional GPU and Intel Core i7 chip, all in a box that weighs the same as a MacBook Air (2.9 pounds). Users won't be suffering for performance, as it features an Intel Core i7-7700T max CPU, NVIDIA Quadro P600 GPU, up to 32GB of DDR4-2400 RAM and 2TB of maximum storage, via a pair of M.2 SSD slots. While that won't give you the pure gaming graphics horsepower of an NVIDIA GTX 1080, users will get a pro-level card that has better compatibility with certain 3D and CAD programs. That's not to mention the attractive storage and memory options that best most laptops. Despite the, er, tiny size (1.4 x 7.1 x 7.1-inches) the P320 Tiny also has a surprising number of ports, including six USB 3.0, front audio ports, gigabit ethernet and six, count 'em, display ports (four mini-DisplayPort and two DisplayPort). Some sacrifices must be made with such a small footprint, and in this case, it's the fact that the power supply is outside the PC in the form of a brick. However, that frees up space on the desktop, and the relatively low price makes it a prime candidate for FX, 3D and CAD-oriented companies looking for relatively cheap artist workstations. The P320 Tiny starts at $800, though the top configuration with the Intel i7-7700T CPU, max 32GB of RAM and maxed out M.2 storage is probably at least double that. Lenovo says the product is available now, but I'm not seeing it yet on its US store.